The FLCR Steering Committee wishes all of our wonderful supporters a Happy New Year! Another great year of Riverwalks, this time with snacks and refreshments! An expanded Calaveras Outreach and Education Day. 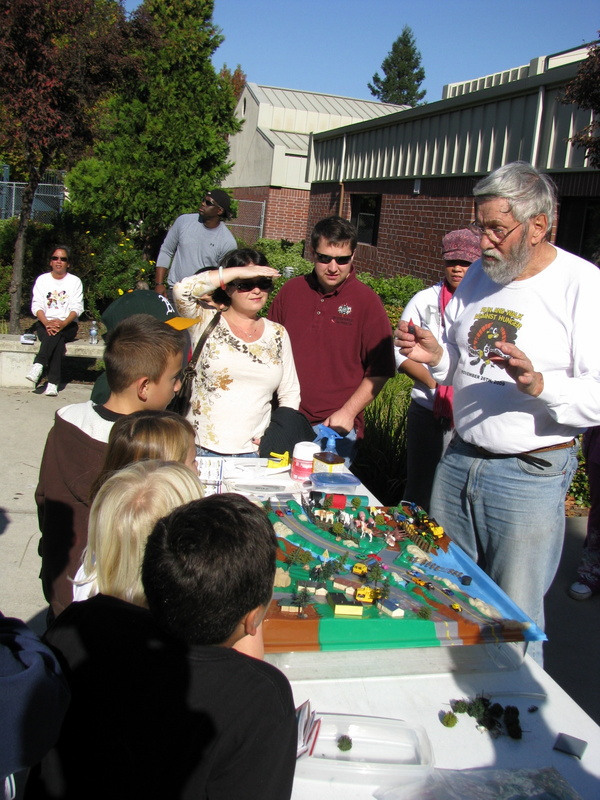 Research and development of a the idea of forming a Calaveras River Parkway Trust! MAYBE… just MAYBE… a Calaveras River Draft Habitat Conservation Plan to review! The U.S. Environmental Protection Agency (E.P.A.) is offering up to $1.8 million in new grants for urban green infrastructure projects that both improve water quality and support community revitalization. Projects that support the restoration of canals, rivers, lakes, wetlands, aquifers, estuaries, bays and oceans qualify. The Delta smelt saw a tenfold increase this year thanks to lots of freshwater flow through the estuary, officials said today. We’ll have a story in the paper and online Thursday. In the meantime, here’s the Department of Fish and Game memo, with charts showing the abundance of five fish species since the late 1960s. You’ve probably heard about coral bleaching—the mass die-off of coral reefs because of warming sea temperatures, a dynamic that can be attributed at least indirectly to climate change. It’s a problem of growing concern to the hundreds of millions of people whose lives depend on reefs and the fish they shelter. But as ocean temps continue to rise, is there any hope for coral? Science to the rescue! Researchers are learning tons about which kinds of coral species are either resistant to bleaching or bleach more quickly—and using that data to figure out which reefs are going to be more resilient to climate change … which will feed into where to focus protection efforts. As part of the work, marine scientists often need to do painstaking fish and coral surveys in beautiful but remote locations—which is why The Nature Conservancy sent a science team led by Joanne Wilson and Sangeeta Mangubhai to spend two weeks in November in the Indonesian archipelago of Raja Ampat, known as the global center of marine biodiversity. I caught up with Wilson and Mangubhai—barely dry from all their diving—to get the skinny on what they found, including giant clams and an anchovy fish ball. Come Celebrate with FLCR at the REI Grants Reception!